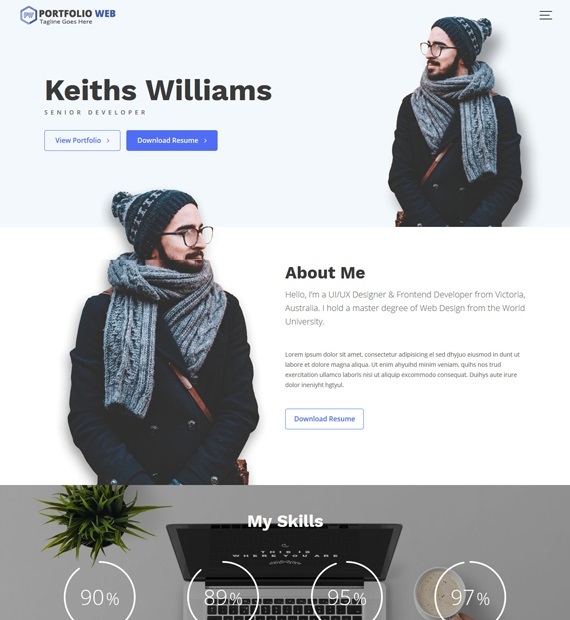 If you are searching for a simple and modern theme for your portfolio website then Portfolio Web is for you. With this free WordPress theme and its Live customizer, you can build a site that looks the best with ease. You can liven up your site even further with the large collection of available widgets. This great theme is also highly responsive, cross-browser compatible, as well as translation ready and features Advanced Logo Options, Unlimited Slider, Custom Sidebar Areas, Header Image/Video and more.